UC Riverside’s women’s tennis faced off against Hope International (0-1) on Friday afternoon at the SRC Tennis Courts. The team put on a dominating performance on their home turf, taking down Hope International 7-0 to win their first match of the season and improve to 1-2. On the doubles side, both teams defeated their opponent handily, 6-0. Big West Athlete of the Week Tia Epulsan and junior Sara Khattab added yet another victory to their undefeated season. After taking a 1-0 lead, UCR sent four freshmen to play four of the six singles matches. Freshman players Lindsey Gelinas, Natalie Shamma and Hanh Pham all came through for the Highlanders and earned their first collegiate singles wins. Fellow freshman Mahli Silpachai won her second singles match of the year after sweeping her opponent 6-0, 6-0. Junior Lauren Wolfe was the only non-freshman to compete in singles play due to Hope International forfeiting the final singles match. Wolfe took care of her opposition in short order, sweeping 6-0, 6-0. The Highlanders were scheduled to play against San Jose State on Saturday, Feb. 2 but the match was cancelled due to weather. 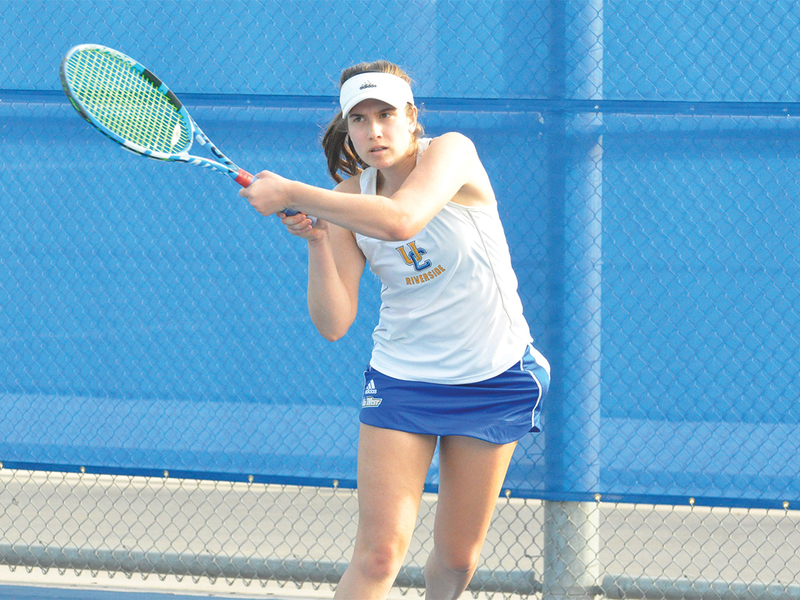 UCR women’s tennis next plays Friday, Feb. 8 against Westmont College at the SRC Tennis Courts.